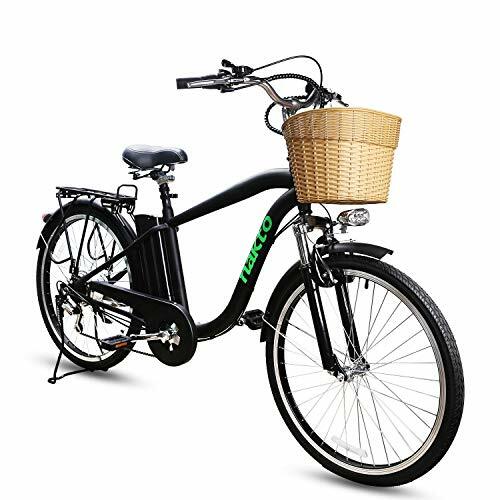 ?NAKTO Electric Bikes For Adults?Streamlined carbon steel frame, Rust-proof powder coating, takes you onto the cutting edge of fashion. Shock absorber designs"cantilever beam front fork", superior shock absorption performance, With high-quality cushion, give you a comfortable ride. Bike can be used for both sexes. Factory direct sales, Ex-factory price sale, eliminating intermediate links, to provide customers with lower prices of electric bike and better service. 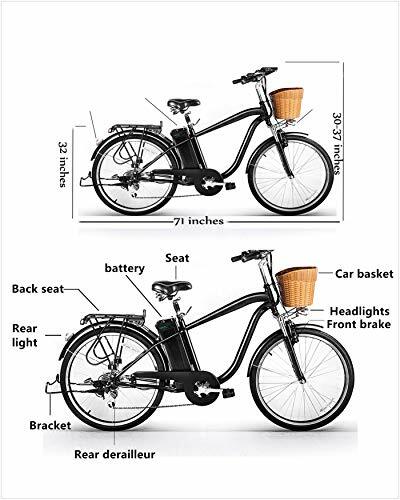 ?High Configuration Brake System?Electric bicycle configuration front V brake, rear expansion brake, "blended braking"system , provides higher safety for bike. This bike is equipped with a "Removable" [36V/10Ah] lithium battery, carrying a lithium battery smart charger, help you long-distance cycling 22-28 miles. LED turntable instrument, simplify operation button, make your riding operations easier and faster. ?Strong Motor & Gear Shifting System?250W brushless silent high-speed motor, for electric vehicles provide a strong impetus, easily increase speed to 18-25 mph. 6-speed transmission system, switch speeds at will, enjoy the different pleasures brought by different speeds. 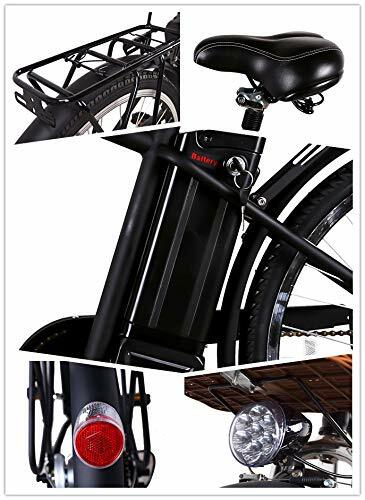 NAKTO electric bike for adults front high-brightness night light, with taillight design, give you a safe driving environment at night. ?Two Modes Freely Switch?Electric & Pedal Assist, "Electric Mode" gives you a relaxed & enviable & enjoyable trip. Want to have a strong and healthy body? The "Pedal Assist Mode" helps you to complete your whole body workout invisibly. Combination of two modes, give you a high quality ride? 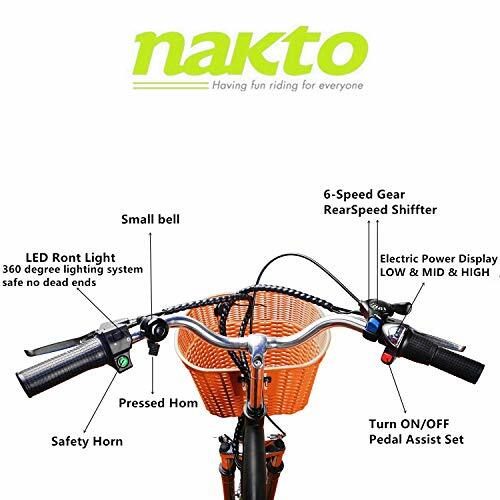 There are more unexpected things, waiting for you to explore, NAKTO electric bike for adults makes it all become within reach. ?NAKTO Electric ebike Warranty Policy & Assembly Lssues?E-bike and battery are 1-year-warranty. During the warranty period, customers can use electric bike parts for free. Note: 1. In order to avoid collision and damage during transportation, the electric bike has completed 95% assembly before shipment, just need to assemble the front wheel and handlebar, 2. 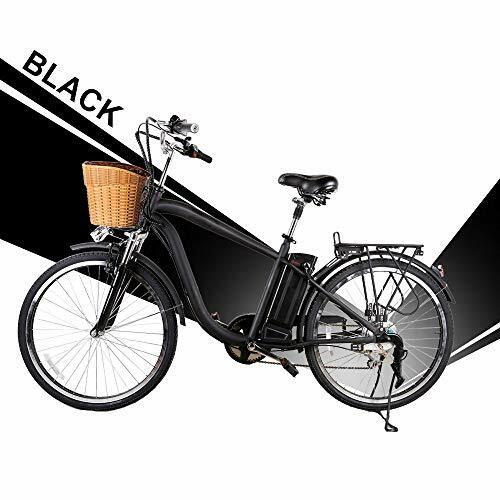 We do not provide bicycles "Free Assemble", But if you need, we can provide you with an assembly videos about ebike.